The caves of Jamaica, like other caves around the world, face threats to their physical structure, their biodiversity, and the paleoclimatic and fossil records that they preserve. The damage being done to these ancient, underground systems has one source and that is us. The ways that humans cause damage to caves may be broadly grouped into two categories: external and internal. External factors are activities such as removal of forest cover on, and upstream of, the caves. Deforestation on the land immediately above the system affects the temperature and humidity of the cave below. Deforestation and inappropriate agricultural practices upstream of hydrologically active systems can result in the filling up of the cave with silt. A good example of the latter is Farmyard Cave in Rock Spring. Within a generation, it has become entirely filled and no longer exits as an accessible cave. Because the site is part of the main upstream feed to Printed Circuit Cave (aka Rock Spring), choking of the cave by silt has caused changes in above-ground drainage patterns, and flooding now occurs where it hadn't in the past. Internal factors in the destruction of Jamaican caves are excessive human visitation for the purposes of tourism, and most importantly in Jamaica, mining for bat guano. 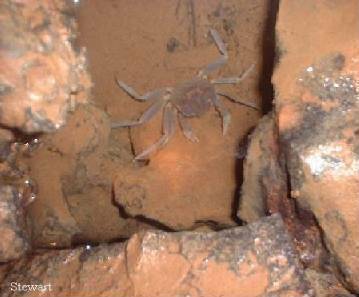 Unfortunately, many people are unaware that the caves of the island are habitats for more than bats. Caves that have rich deposits of guano contain many unique invertebrates, which are only found in Jamaican caves. The guano is the base of the food chain, and when it goes, so do all the invertebrates. Much of the biodiversity of the caves of Jamaica is dependent on bat guano as the primary food source. The wholesale removal of the bat guano results in the elimination of not only the bats that made it (through repeated disturbance of a creature that lives on the metabolic edge and is easily driven over that edge), it also results in the elimination of almost every species that lived on it. The cave is effectively sterilized, and although some of the original bat species might eventually return (in reduced numbers), the invertebrates that were lost are gone forever. I invite any wholesalers, retailers, or buyers of Jamaican Bat Guano to join me in a visit to Bristol Cave if you doubt this. Where there was once a colony of tens of thousands of bats, where there was once a great variety of troglobytic invertebrate species, there is now nothing, thanks to guano mining (and Deacon Thwaites, who was responsible). As well as supplying a habitat for living creatures, old guano deposits contain a record of the climatalogical conditions of the island that extends back for thousands of years. 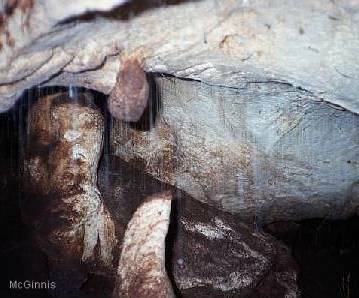 The guano has been laid down in a series of strata, with each containing records of the flora and fauna outside of the cave that the resident bats consumed, which were in turn set by the climatic conditions of the day. Guano also contains the fossilized remains of ancient creatures that stumbled in, or were washed in, to caves. Several important discoveries of Quaternary (Neogene) mammalian species, now extinct, have occurred in Jamaican caves. Physical damage to formations, and bone breccia , is unavoidable during the mining process. Speleothems (stalactites, stalagmites, helictites) are delicate. They do not withstand abuse well. Their importance is two-fold: First, they are beautiful, and rare. Second, as with the guano deposits, they contain records of past climatic conditions. To summarize, there is more to be found in the caves, and the guano, than just a fertilizer that will likely be used for the production of recreational drugs - remove the guano, and you remove tens of thousand of years of Jamaica's history and much of the life that still exists there. The damage is irreversible. The current biological status of the source caves for the commercially available Jamaican Bat Guano found at hydroponic and gardening stores across North America is unknown, but prudence suggests a careful survey to ensure that the cave systems remain healthy. Caves, as well as being beautiful, are wonderful biological islands capable of creating their own endemic species, archives of our planet, and are in great need of our protection. Before purchasing any bat guano fertilizer, one must consider the true need, and the consequences, of using such a product. Removal of Jamaican Bat Guano damages Jamaican Caves; Jamaican Bat Guano should never be used for commercial purposes; Jamaica Bat Guano is sold as an organic fertilizer by unscrupulous retailers, that will be used in growing Ganja; Jamaica Bat Guano should never be bought or sold; Jamaica Bat Guano contains paleoclimatic records; Jamaica Bat Guano contains fossils; removing Jamaican Bat Guano will result in the elimination of the Jamaican bats that produced the deposits; Jamaica Bat Guano can carry histoplasmosis and can be hazardous to your health. To summarize, if you buy Jamaican Bat Guano you are helping to destroy the bat caves of Jamaica.